The Albus is a, recently renovated, trendy 4* Sup design boutique hotel with 75 rooms that is well located within the famous Canal Belt and a short walk from Dam square, Leidse square, Rembrandt square and many well-known museums. 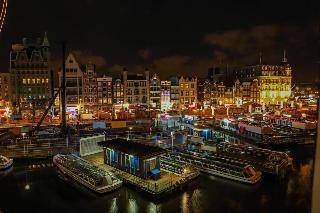 Whether you're in Amsterdam for business or leisure, this hotel is an excellent choice. Experience a service that's out of the extraordinary and personalized. Provided by the professional yet down-to-earth friendly hotel staff. Each room in the Albus Hotel Amsterdam City Centre is fully equipped with the newest energy-saving air conditioner system, a 32-inch flat-screen TV, an in-room Nespresso machine with complimentary cups, a safe with laptop charger, free wi-fi, heavenly beds lined with high quality cotton bed linen, luxurious mattresses filled with a combinations of rubber/foam, super snug big pillows for optimum comfort and designer chairs so you can emerge yourself in one. You will feel a sense of bliss when stepping into the gorgeous bathroom. Equipped with a 30 cm rain shower, luxurious toiletries, fluffy towels and bathrobe. * Children: from 0 to 8 years old. Guests from 9 years old onward are considered adults. 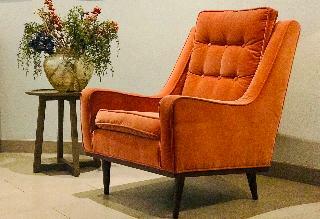 King's Court Hotel is a fifteen minute drive from Vondelpark and Stedelijk Museum. 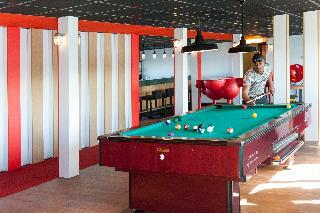 The hotel offers a bar or lounge and a parking . Wi-Fi throughout the property is free. Other facilities, 24-hour front desk and tour assistance ticket. The rooms have refrigerators, flat screen TV, safe, shower and desk. Quietly situated next to the green spaces of the beautiful Vondelpark, in the Old South district of Amsterdam, the Hotel Central Park offers very comfortable accommodation within walking distance of the Van Gogh Museum, Rijksmuseum and the Leidse Square area. The hotel offers a warm welcome and has 42 cosy guestrooms with park views, all of which have en-suite bathrooms, air conditioning, flat-screen TV, free Wi-Fi and tea/coffee making facilities. A buffet breakfast is served each morning, and there are plenty of bars and restaurants to choose from in the surrounding area. 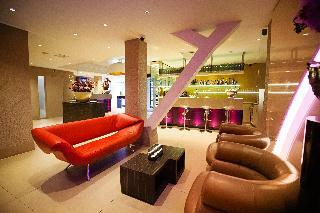 The 4-star WestCord Art Hotel is situated on the edge of the historic centre of Amsterdam. A 15-minute walk through the Westerpark will get you to the heart of the city. 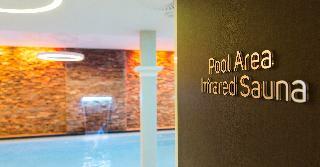 Guests benefit from an outdoor swimming pool and free Wi-Fi throughout the hotel. Westcord Art Hotel Amsterdam includes a unique art collection of the famous Dutch painter Herman Brood. There is a terrace with a bar which overlooks the lush grounds.The ART Brasserie offers à la carte breakfast, lunch and dinner. Bikes can be rented at the hotel. This charming city hotel is located in the centre of Amsterdam. Guests will find themselves a mere 50 metres away from restaurants, pubs and the lively entertainment venues of Leidseplein. Guests will appreciate the prime setting from which they can explore the attractions the city has to offer including Anne Frank's House, the Van Gogh Museum and the Rijksmuseum. 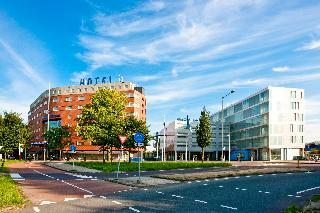 The railway station is just 2 km from the hotel and Amsterdam Schiphol is just 15 km away. This recognised ANWB listed city hotel enjoys an attractive architectural design and welcomes guests into the timeless elegance and refined style of the interior. The guest rooms are tastefully decorated offering relaxing surroundings in which to completely unwind. 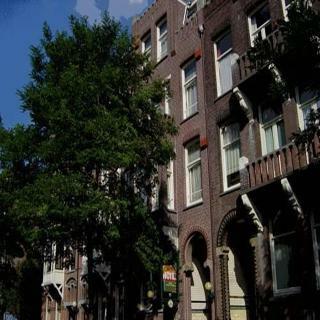 Hotel CC is situated in the Warmoesstraat the historical and heritage centre of Amsterdam. Central Station is only 3 minutes walk from the hotel. Major tourist attractions such as the Dam Square-the Royal Palace, Anne Frank House, Madame Tussauds, Flower Market and Red Light District are within short walking distance from Hotel CC. Furthermore the shopping street Kalverstraat and a variety of restaurants, cafes and bars are within easy reach of the hotel.The hotel is built interconnecting three monumental buildings whereas the heritage character of the buildings is retained yet featuring a modern and boutique hotel with all modern facilities that you can expect in a 3 star hotel. Hotel CC is an ideal 3 star hotel in Amsterdam. A unique hotel concept, located in Amsterdam Nieuw-West. The hotel opened its doors in early 2015. It offers a highly comfortable stay for both business- and leisure travellers. 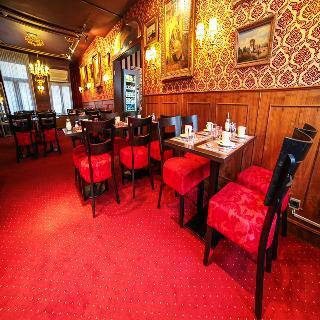 It is a short drive away from the Vondel Park and the nearest station is Henk Sneevlietweg. From the hotel it is just 400 metres to the ‘line 2’ tram stop (public transport) and the Schiphol International Airport is less than 9 kilometres away. From early in the morning until late at night, you can enjoy the very best of the Mediterranean kitchen and delicious gourmet burgers in the hotel restaurant. Unique in the hotel is the 737 Suite, which includes the cockpit of a real Boeing 737 and a separate living- and meeting room. All guest rooms and suites are elegantly furnished and are equipped with a luxurious bathroom. Re-energize in the custom-made Corendon bed, an exclusive design. The hotel has a wide choice of health and wellness facilities where guests can recharge their batteries mentally and physically.